"Picturesque Farm. 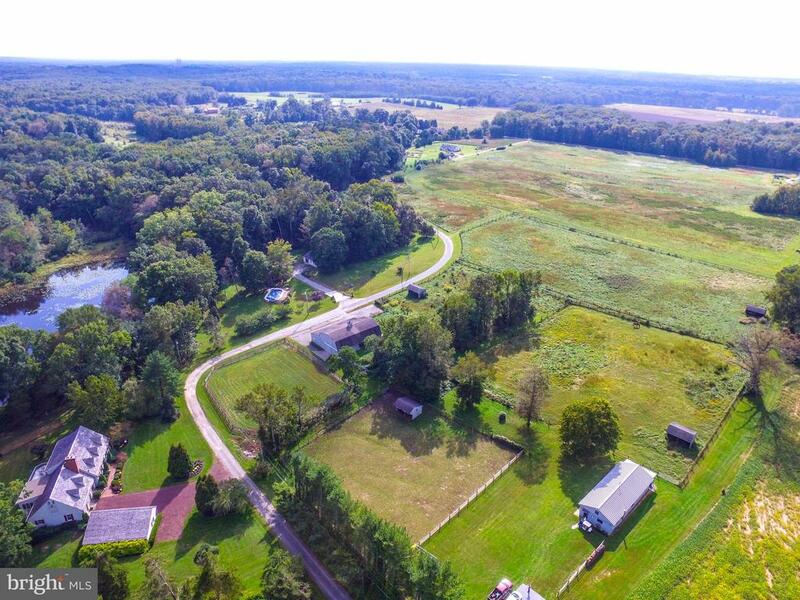 Check out this 195 +/- acre rare-find farm with 3 BR farmhouse, large barn and pond in (3) townships - Quinton, Alloway & Mannington. This farm's soil types are predominately Alloway and Matapeake silt loam. Agricultural opportunties abound." "Lower Alloways Creek. Extraordinary character is timeless. Nestled on a 125+ acre certified organic farm is a four bedroom, three and one half bath brick farmhouse and neighboring two bedroom, one and one half bath guesthouse. Approaching the house on the tree-lined gravel drive enjoy the bucolic scene of fenced pastures. Entering the main house, imagine the fireplaces with wood fires crackling in the parlor and dining room; the large country kitchen with marble counters and soapstone sink. The spacious den offers a cozy corner with a wood burning stove. The sunlit Florida room with skylights and a wet bar is just beyond the den. A few steps from there is the comfortable library with fireplace and a corner office with fireplace and built-in bookshelves. The second level offers a junior master suite, a third bedroom, full bath and a large master suite complete with an its own sitting room and a hidden stairway leading to the main parlor on the first level. There is a fourth bedroom on the attic level. Operated as a farm, a livestock shed, carriage house, equipment shed and other outbuildings convey with the property. Solar panels and low property taxes contribute to the low cost of ownership for this tranquil spot. 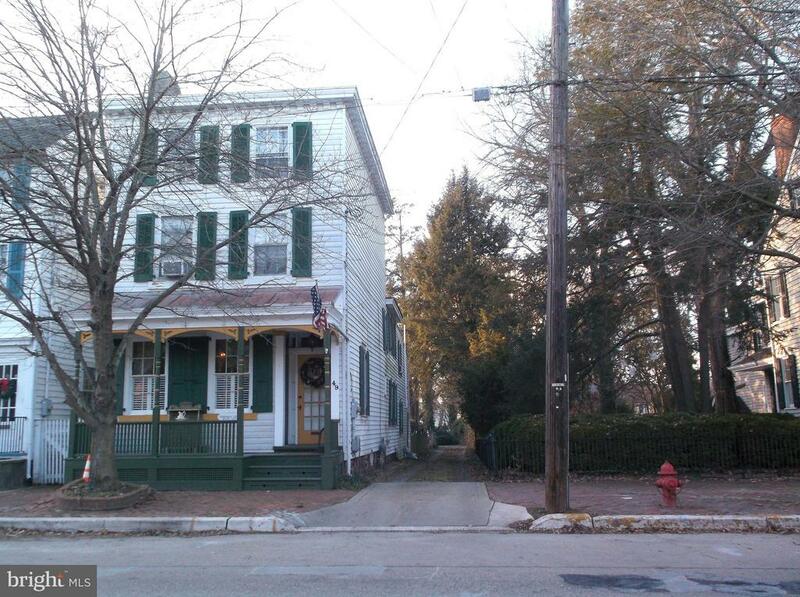 Enjoy the enduring charm of a pastoral life while still being close to metropolitan areas." "Fabulous Custom Secluded Waterfront Home in Desirable Quinton Township, Move In Condition, Situated on an Amazing 32 Acres of Farmland w/an 8 Stall Fully Functional Barn Ready for Horses; Home is Situated on Beautiful Private 25 Acre Lake, a Dock, and a Fishing Cabin, Great for Fishing, Swimming, Canoeing, Kayaking and More! 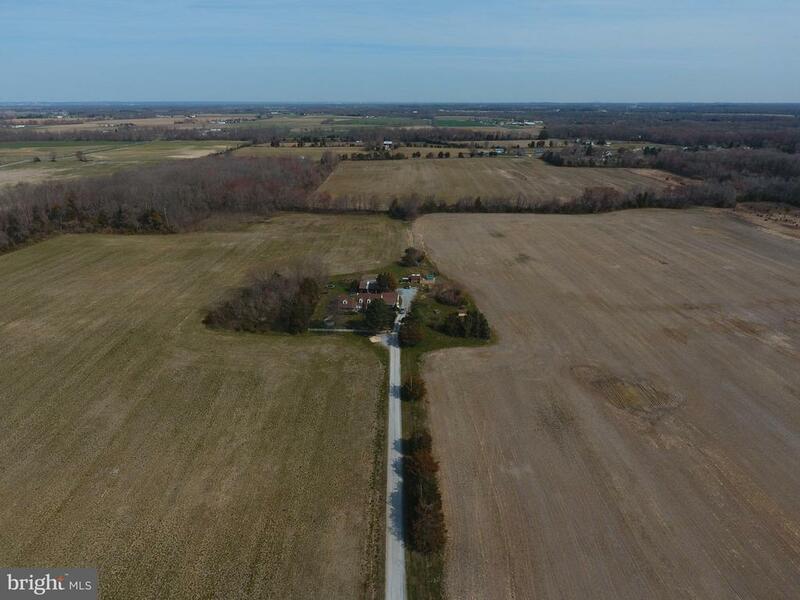 On the 31 Acre Farmland, There is an 8 Stable Barn with Wash Down Area, Tack Room, Office, Fencing, Horse Padlocks, and the Potential of 35k+ Income Per Year From Boarded Horses and Hay Crop Revenue! Great For an Organic Farm or a Contractor-Op For a Store to Table Cattle or a Variety of Crops or a Vineyard! Utilities Include 2 Wells, a Stand Alone Full House Back Up Generator and a Lake Fed Lawn Irrigation System; Fantastic Full Partially Finished Basement, with Finished Workout Room, and Garage Door to Get Lawn Supplies, Boats and Other Water Sport Things In and Out; Also an Outdoor Shower To Wash Up After A Fun Day on the Lake; Front Exterior is Picturesque w/Well Maintained Lawn, Large Driveway and a 4 Bay Car Port For Add~l Parking; Secluded Backyard Offers Large Deck, Perfect for Entertaining and Relaxing, Very Private Overlooking The Lake, Ample Lawn for Play, and a Path Leading Down to Private Dock; New Hardwood Floors ThruOut, New Roof 2016! Bright Living Rm Offers Built In Shelving, Recessed Lighting, Exposed Beams and a Wood Burning Brick Lined Fireplace; Dining Rm Features Chandelier Lighting, Sliders to Rear Deck; Brand New, Never Used Kitchen (2018) with Amble Cabinets, Easy to Clean Tumble Stone & Tile Backsplash, Tons of Granite Counter Space, Stainless Steel Appliances, Recessed Lighting and a Kitchen Island w/Pendant Lighting to Make Food Prep a Snap; Family/Sun Room w/Access to Deck, a Lovely Place to Unwind and Relax w/Stunning Views of Lake; Large 1st Floor Master Bedroom w/a Huge Walk in Closet and Features a Private Master Bathroom w/Tiled Floors, Whirlpool Tub and a Stand Up Shower; An Second 1st Floor Bedroom/Office w/a"
"MILLION DOLLAR Views- Great Opportunity to own an affordable Water Front Property. experience breath taking views from the moment you wake up, all day long until specular sunset each and every day dare to be on Vacation every day. Enjoy the experience from the comfort of your bed or sitting in the Sunroom, or the Living Room or even outside on the deck or patio, so many possibilities to mention, with all these awesome views why would you want to leave this beautiful home. Enjoy your morning coffee sitting out on the deck or lounging in your Florida Room with floor to ceiling views. Walk out your back door onto the beach can it get any better than this! There are many windows throughout your future home to bring in the natural sunlight. Huge beautiful kitchen with an endless amount of cabinets, wine racks, breakfast bar, tile back splash, recessed lighting, pantry. The Awesome Living Room that has a Brick Fireplace to enjoy those cooler evenings enjoying those great Views from the comfort of your Year-Round Dream Home Master suite with its updated master bathroom French Doors leading out to nice sized deck. Second bedroom with its private full bathroom including a garden tub. Full finished basement that includes several rooms which one or two be converted into bedrooms. Another hidden gem is a large cedar closet.Two separate walk-up attics and a 2-car garage with electric door opener plus additional parking for 6+ cars in driveway. DOUBLE LOT has 180 feet on beach frontage, largest in the area! 180 Feet of BEACH FRONTAGE LOCATION, LOCATION, LOCATION 100% Financing Available ask me how!" "Looking for a move in ready place to call home - how about a large 4 bedroom 3 full bath stunner in the land of low property taxes Lower Alloways Creek. Your future home boasts an oversized kitchen leading to a very large family room for all your entertaining needs. To many guests, that's ok, the formal living room can handle the overflow. It also has a first floor bedroom and full bath. Once you go upstairs the master ensuite features a large living area, masterbath, walk-in closet and windows facing both the front yard and back yard. The 2 other large bedrooms and full bath are on the opposite end of the house with a stairwell sound buffer to help fill those rooms. This home also has a full basement with an extra course of block just waiting to be finished. 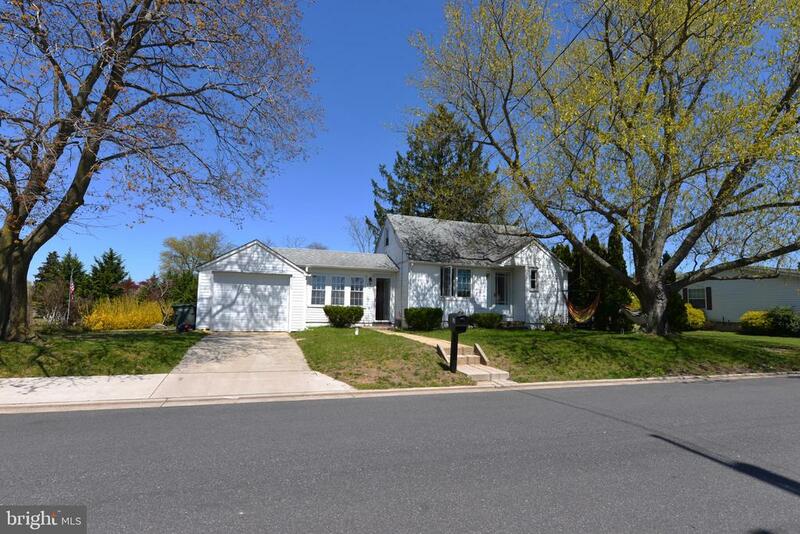 Come take a tour today and enjoy the country living all within 2 hours drivetime to Washington DC, Wilmington DE, Philadelphia, NYC and the Jersey shore." "Country setting with river views from balcony, walking distance to public beach, fishing and gorgeous sunsets. 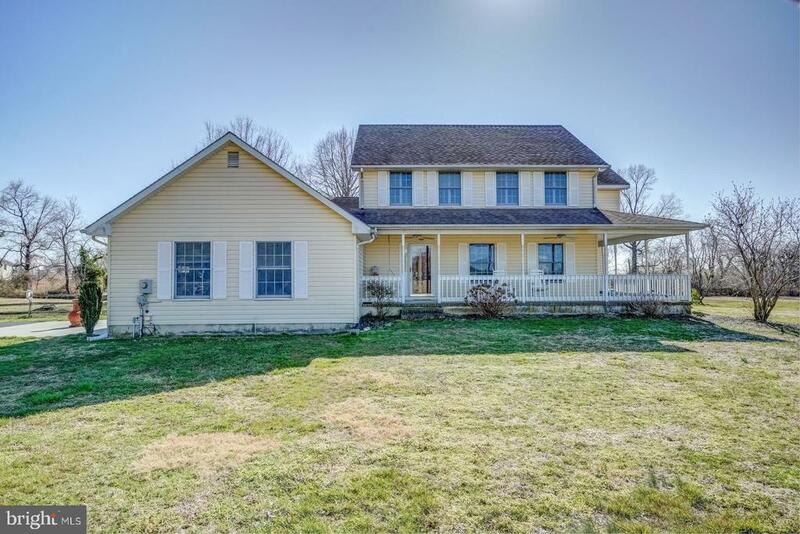 Colonial home with wrap around porch, 2 decks, patio deck and a balcony to enjoy the privacy with room to roam on 2 acres in Elsinboro Township. 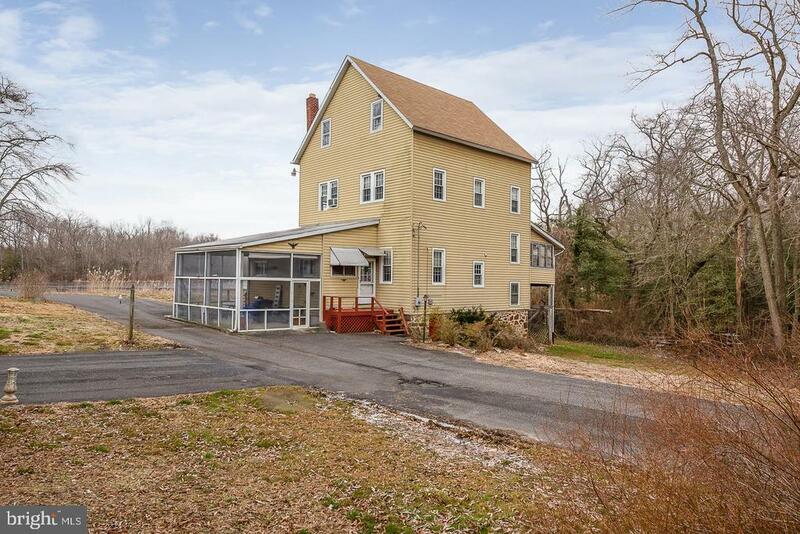 Peaceful rural setting close to Delaware River. You will want to see this 4 bedroom, 2 1/2 baths with large open kitchen to family room featuring brick wood burning fireplace and french doors to back deck. French doors to living room from foyer entrance to dining room leading to wrap around porch. Master bedroom featuring sliding doors to upper balcony with views of the ships passing and a master bath with vanity/dressing area and double closets, 2nd bedroom off the master is currently being used as a sitting/mancave room. This home has it all, including 2 bonus rooms on 3rd floor. Attached 2 car garage with upgraded stormproof/ insulated garage door. Dual (2) 10 ton A/C units new in 2010. Dual heating system (1 new in 2010), Newer water filtration system, Harwood flooring throughout the home. 2 sheds(1 oversized with electric), plenty of parking on the extended asphalt driveway. Loads of storage and pantry off laundry room. Bring your fishing poles the season is just starting!" "Truly a remarkable place. 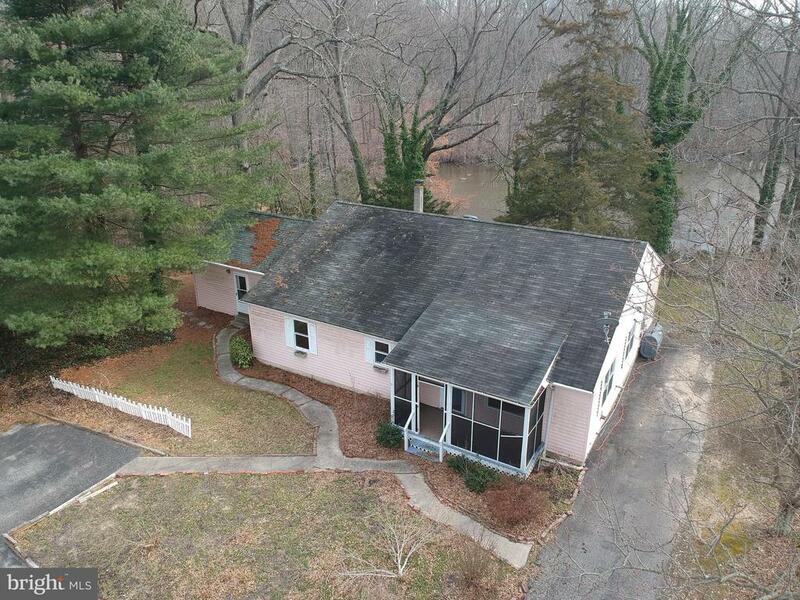 You could own this historical waterfront landmark, sitting on over 2 acres with the benefit of extremely low taxes of Lower Alloways Creek Township. Built in 1889, This property was the last working Mill in the area, Later converted into a 3 bedroom, 2 bath home after the mill was closed. Approximately 12ft high ceilings on the first floor with a great view of Maskells Mill Pond provides a spacious open feel while being able to stay inside. This home is a must see for anyone who can appreciate history. The only waterfront property on the lake and since it is surrounded by state protected property there will no new neighbors. Enjoy your private dock (the only one on the Pond) where you can keep your boat or take advantage of the excellent fishing conditions, not to mention viewing the abundant wildlife habitat that resides on this and the surrounding properties. There is also plenty of storage to keep your outdoor possessions in the post frame constructed building with paved drive. The building can be used as a multitude of options, mancave, workshop, parking garage, etc. As an interesting addition there is a slot car race track in the very spacious attic. Have a piece of mind that a new septic system will be installed prior to closing. With a little TLC and a vision this home can be easily updated if desired. An excellent vacation home option. Join me and see how this absolutely unique property could fit you!" "Peace and tranquility will be yours in this spacious home that's tucked into a beautiful wooded home site and adjoins Wild Oaks Gulf Club! This lovely well maintained home features an open concept with plenty of bright and spacious living space! Upon entering you'll be delighted to see new iron balusters and wooden staircase! The living room is complimented with a large bay window to take in the gorgeous serene views! Plus 2 skylight windows. The kitchen features ample counter space with a coffee bar with seating! Lovely dining area is located just off the kitchen with walk out slider for convenient alfresco dining under the star lit skies! The Master bedroom includes your own private bath! The lower level is fabulous for entertaining with beautiful neutral tile flooring and a lovely gas fireplace! This special home includes 3 bedrooms, 2 1/2 bath, 2 car garage, expanded driveway for plenty of parking and ceiling fans through out. Don't delay put this one on your list today!" "Property like this doesn't come along often. 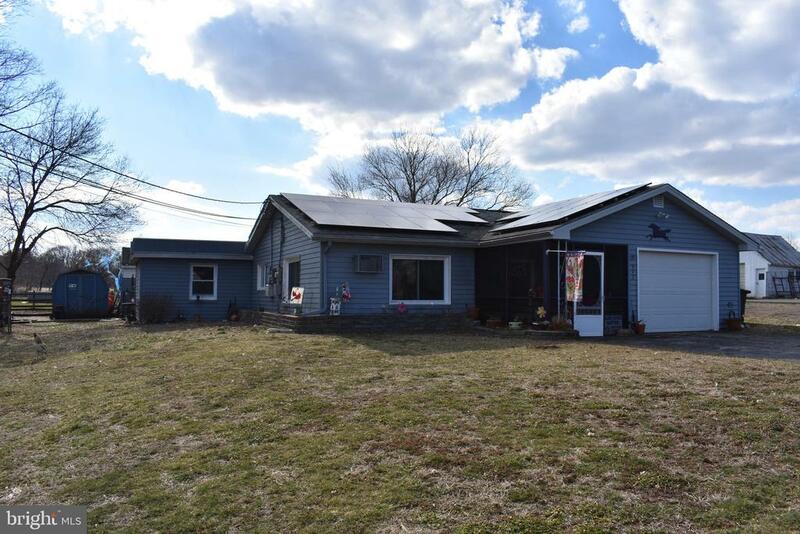 This 4 bedroom, 2 bathroom home with out buildings and public sewer is nestled on 23acres(+/-), with approximately 16acres(+/-) tillable, and incredibly Low taxes of Lower Alloways Creek Township. Property includes irrigation pond, well, pumps ,and underground irrigation risers to the greenhouses. Good soil quality for farming and great potential for use as a horse farm. Semi wooded rear portion of the property provides shelter to abundant wildlife. The home is in need of some remodeling but don't let that stop you from previewing all this property has to offer. Nice rear covered, raised patio overlooks the rear yard providing a nice seating area to relax and enjoy the outdoors. With some TLC this property can be the beautiful farm it once was. Farm equipment and implements are available with the property if purchased separately. This property is not projected to last long, schedule your personal showing today!" 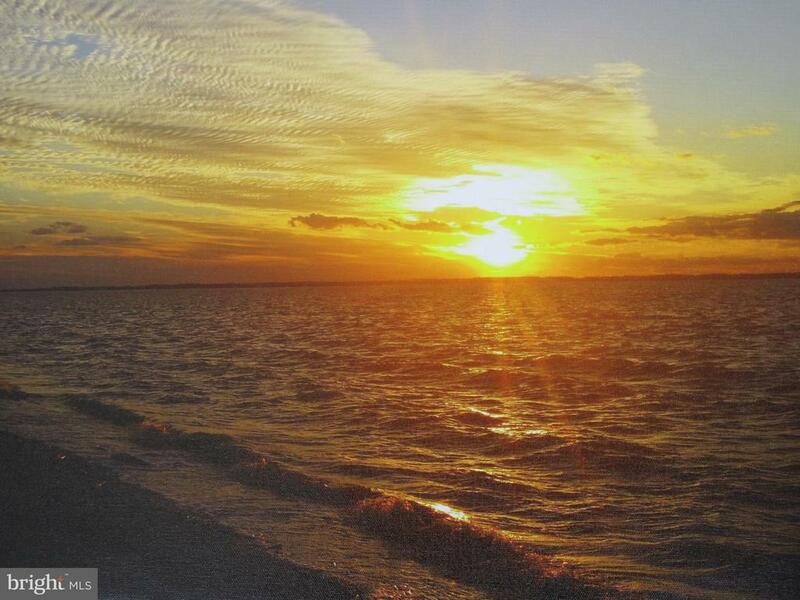 "Looking for a quiet, relaxing beach setting without the hustle and bustle of the traditional Jersey Shore lifestyle? You have found it at a fraction of the cost. This extremely well kept custom cape cod is located in Elsinboro, just steps from the shore of the Delaware River. This amazing property with secluded public beach access and western exposure, you are treated to beautiful sunsets whenever the desire strikes. This quiet and friendly community is also steps from The Inn at Salem Country Club. 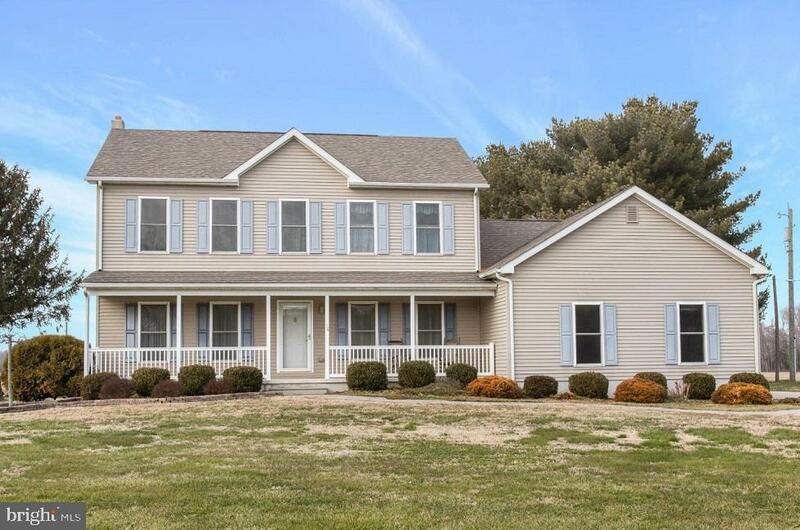 This custom home features 3 beds, 2 full baths on an 1/2 acre lot. A must see!" 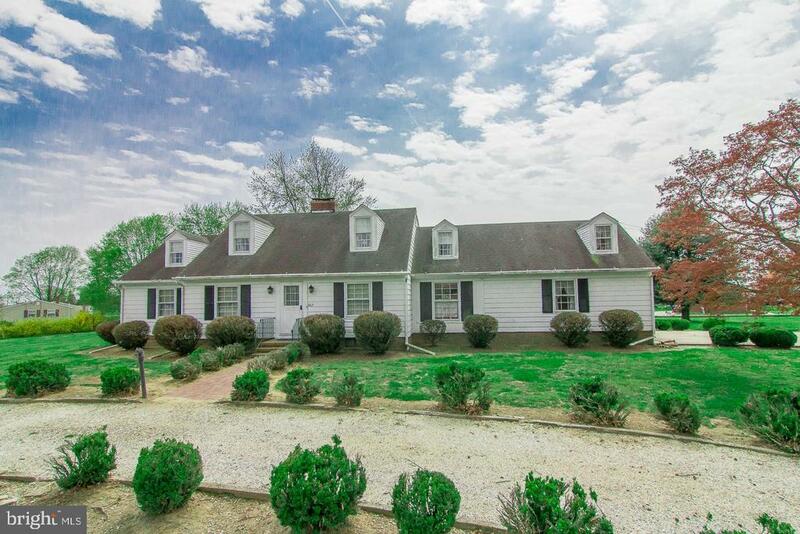 "Colonial home in Salem county situated on a large 5.36 acre lot surrounded by open farmland. 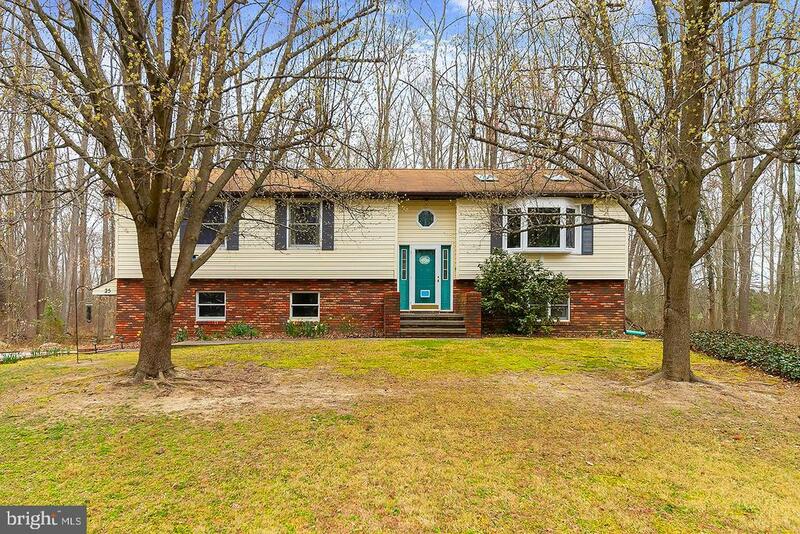 This 3 bedroom 3 bathroom home sits off theroad and offers modern layout, features include welcoming family room with access to sun porch, large kitchen with plenty of counter space,oak cabinets and walk in pantry. Additional room on the first floor can be used as office, library or playroom. Spacious master bedroom withwalk in closet is located on the second floor and offers master bathroom with Jacuzzi tub, shower and roomy vanity. Additional bedrooms,bathroom and laundry area are also located on the second floor and have plenty of windows for natural light. An option to finish 9' basementand increase living space or convert it to playroom adds value to this home. Huge bonus is fully heated 30X40 outbuilding with a separatecircular driveway, 14' ceiling and two 12' doors for drive in access-- ideal for a contractor, landscaper, excavator, boat or car enthusiast." "Looking for a move in ready home in a great private location? 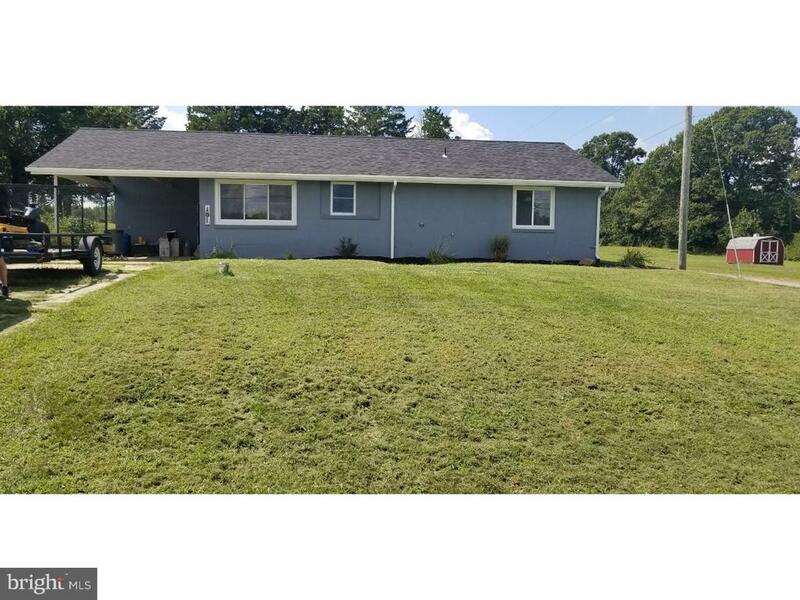 This motivated seller says come check out this beautiful well maintained rancher on a quiet dead-end road in the country yet still close enough to town! 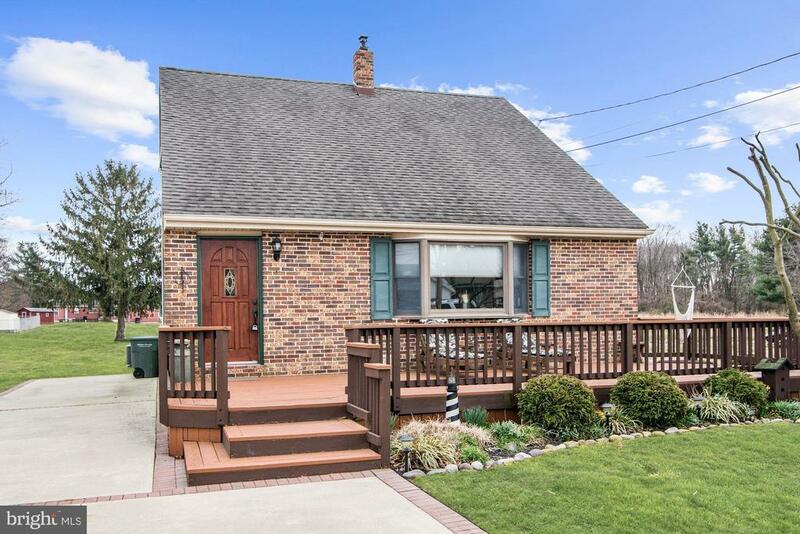 This spacious home located in Elsinboro Township features 3 nice sized bedrooms along with two full updated bathrooms. As you make your way through the front door you will notice the inviting living room highlighted by a full wall brick wood burning fireplace perfect for cozying up on those cold winter nights. All the bedrooms, hallways and living room are fully carpeted but you will find beautiful oak hardwood floors under the carpet as an added bonus. As you step past the living room into the kitchen/dining room combo you will find a beautifully updated kitchen with plenty of counter and cabinet space. You will also notice newer PERGO floors all throughout the kitchen, dining room and sunroom. The all-season sunroom provides a great view of the beautiful salt water in-ground pool perfect for keeping cool on those hot summer days. 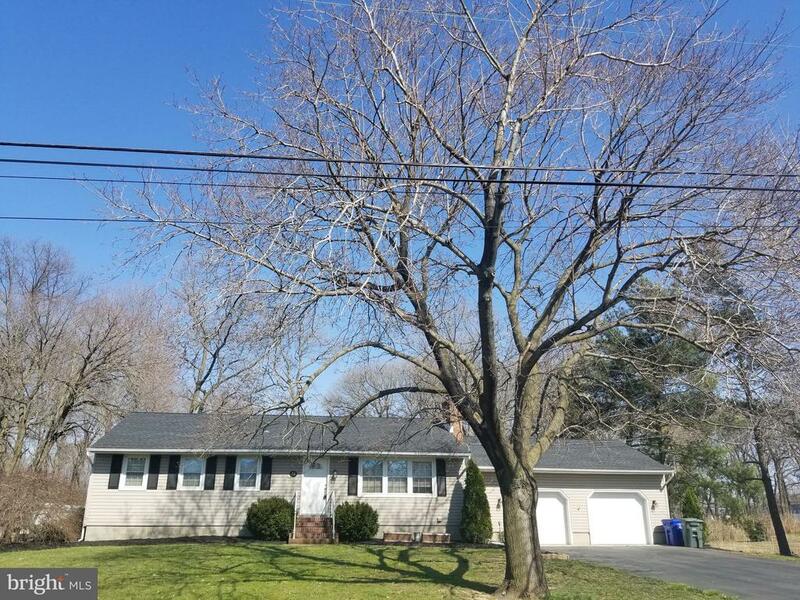 This house also features a patio with a solid 6 ft privacy fence, a pool shed, 2 extra storage sheds, an attached oversized 2-car garage and a full basement. The full basement provides great storage space as well as a laundry area, a workshop and a pool table. This house has a lot to offer. So what are you waiting for? Make your appointment to come see this great home before it~s gone. 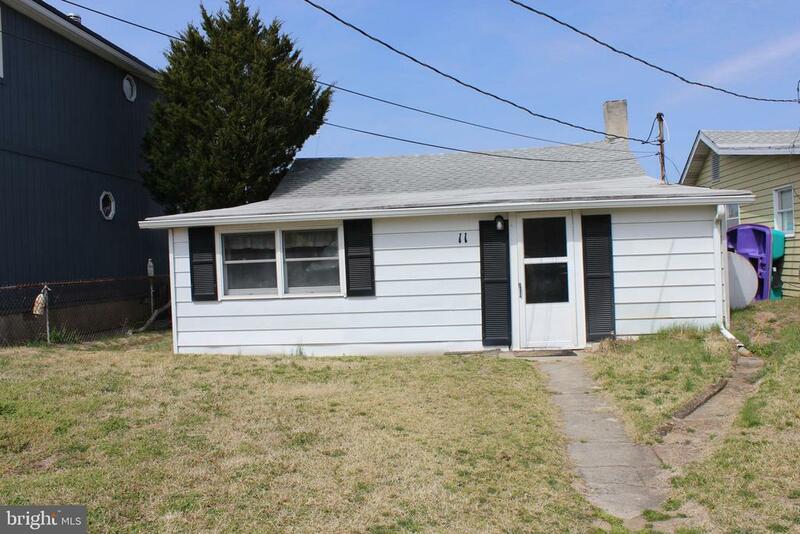 ***New roof installed 2/2019***"
"Charming 3 bedroom 1 & half bath Cape Cod located on the Delaware River with beach access. Screened in porch that looks out over the water, Main bedroom has a lovely view of the River. Property is located on a dead end street." "Wow! 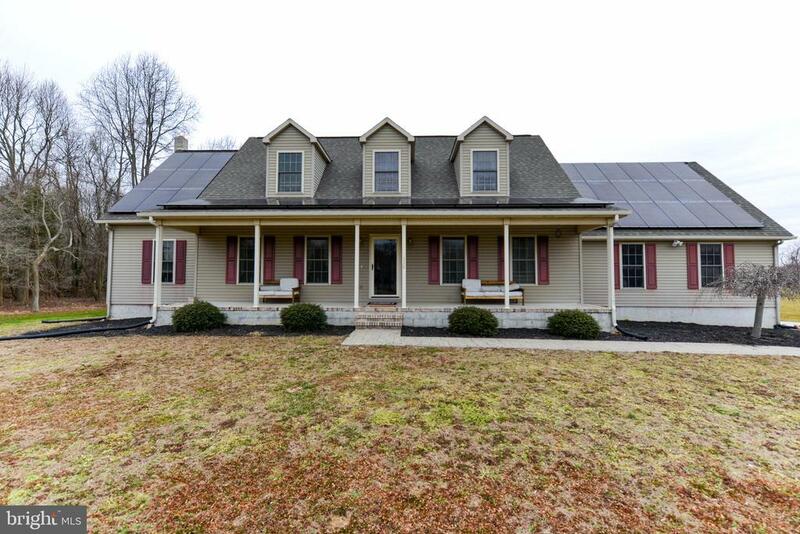 Great Cape style home situated on 1.5 acres in Elsinboro! Three bedrooms (one on the main floor), two full bathrooms, two wood burning fireplaces, full basement and an attached two car garage! Spacious home with dining room, large living room, ample closets throughout with additional attic space for plenty of storage. Call today for your personal tour!" "Multiple Possibilities Here! This 3+ bedroom residence also has general commercial zoning with the potential to become 3 one-bedroom apartments and a store/office. The home's 1,809 sf of heated living space includes, LR, DR, Kitchen, Office, 1-1/2 Baths, Sunporch and oak floors. Renovations include updated plumbing, insulation, electric (with a transfer switch for generator power), Anderson Thermopane basement windows, hotwater heater, light fixtures, interior and exterior doors, roof and gutters, storm windows, outside above-ground oil tank, Kohler bathroom (including a soaker tub, shower and bidet!) with marble counters, ceramic tile. A custom Kraftmaid kitchen with stainless steel appliances awaits installation. The newly carpeted master bedroom has a mirror-doored 8-1/2 ft closet. There's an intimate sheltered patio, a spacious yard with fruit trees and raised bed gardens, a coop for backyard chickens and a romantic stone pathway to an arbor gate. Many of the home's original wood windows are restored. The newly roofed 2-car garage is brick-over-cinderblock, with a full-story, walk-up second floor. Ongoing renovations require as is sale." "Three levels of living! Step back into time as you cross over the threshold of this 3 story, 11 room grand home! The grandeur of the home is expressed with the open staircase, original wide plank pumpkin pine wood floors, some restored original plaster ornamentation, high ceilings and much more. This home was built with 2 parlors, the first now a living room, the second one now as a formal dining room having a fireplace with a new cast iron gas insert. Current owners restored the pocket doors which separate the living room from the dining room. Relax in the sitting room with beautiful French Doors leading outside. The kitchen has been redone including new vinyl tile flooring and windows. Off the kitchen is a laundry room with a new powder room and a back staircase. Natural gas hook up has been added for gas appliance installation. There are many ways you can use the extra rooms in this spacious home. Set in the Historic section of Salem City it has been in the Yuletide Tour. It is on the City, County and State Historic Registry. Dream of establishing your own business as you can both live here and conduct business activity with city approval. The shared driveway leads to parking for 2 vehicles. Easy access to Interstate 295 and the Delaware Memorial Bridge. Also close to Mannington Mills. Bring your own history to life with your finishing touches on this masterpiece of a home! There is an under ground oil tank,currently in use and insured. Two of the fireplaces are not being used. Chandelier in dining room is excluded. Now verified as a 3 B/R per assessor." 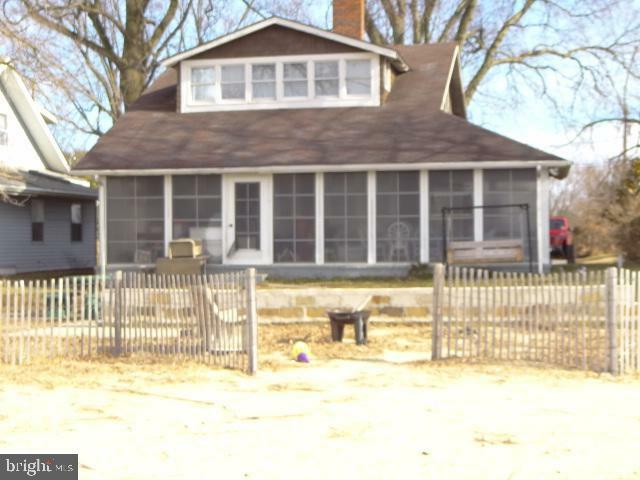 "Buy a lifestyle, not just a home with this beach front property on the Delaware. Watch countless sunsets from your back yard as the ships pass by. This quaint bungalow is located on a dead end street and includes an out building and a side shed. There are new floors, pecks plumbing and new electrical throughout the home. Come see this property today so you can own your piece of paradise. Home being offered in as-is condition." "If your looking for a house with privacy, a water view, and lots of interior space, you have to check this property out. Near the end of the road is this home that backs up to the river. You can walk out your back yard and go fishing or maybe even launch your kayaks. However lets get back to the inside as there is a lot there to appreciate. The massive living room and dinning room combo boasts a pellet stove that will provide great warmth in the winter and also to help keep the utilities lower. From there you can walk into this modern kitchen with ample cabinets and under cabinet lighting. Enjoy sitting at the table in the kitchen a look through the massive back window at your own piece of the paradise. Walk through the hallways and you will find 4 bedrooms, some with their own access to the rear deck. The central laundry room alone is as big as some bedrooms. The family room has a built in bookshelf for those who can appreciate reading while enjoying the quite life. A massive pantry that can also be used as a mud room provides one of the access points to the back yard. Walk down the back yard to the screened in gazebo where you can watch the river and all it has to offer. So why not view this house and realizing it wouldn't take much to turn this house into your home. Also check out the virtual tour for more information." 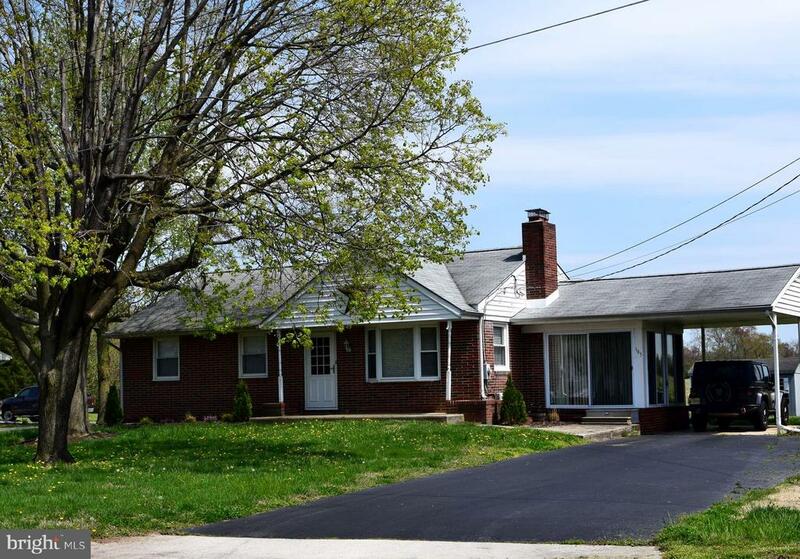 "Cozy 2 bedroom one bath Brick Rancher located in Elk Terrace in Quinton Twp. Living room w/ Bay window. Master bedroom has plenty of space and 3 large closets. Full spacious attic and basement(unfinished) w/laundry area and outside access. Sunporch overlooking open field , nice size yard which has two sheds in backyard. Attached carport"
"This Renovated Ranch Style home features Open floor plan from kitchen to living room with newer Vinyl floors. Kitchen has been updated with soft-close cabinets, Granite counters, Stainless steel appliances, and a little closet room off the kitchen with shelving and space for washer and dryer. Bedrooms have new carpet and house has been freshly painted inside and out. The Home also has New Roof, NEW 2 zone heat/air and NEW SEPTIC SYSTEM. There is nothing to do here besides move in." 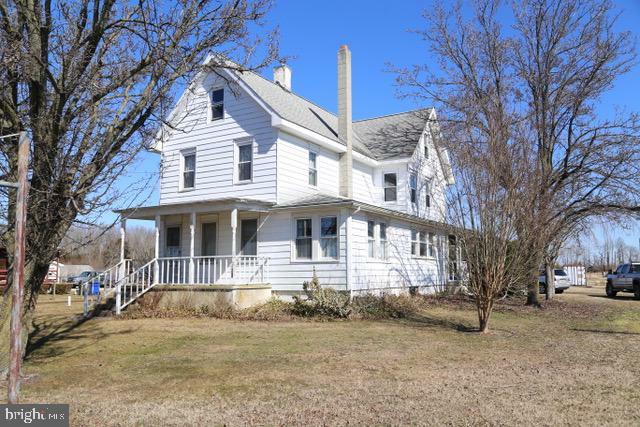 "Charming country setting with fencing perfect for any animal lover! Living room, dining room, kitchen and master bedroom areas as well as the accessible bathroom are some of the great features of this home. There is an inlaw suite with its own entrance, several rooms that can be finished and made into bedrooms, office space, etc. The half garage can be turned back into a full garage and a lot of building materials are available for the next owner to complete the transformation! Solar panels are rented but available to the new buyer. Serious lookers only. This house has a lot of potential and a beautiful setting!" 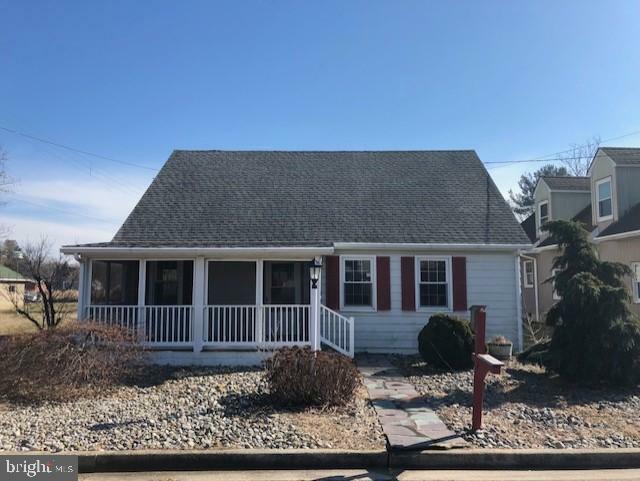 "This Fannie Mae Homepath bungalow has more living space than it looks like offering 1983 sq ft. You can sit on the screened in porch and listen to sounds of the Delaware River for this property is located across the street from the river. This home offers a spacious living room with stairs to the 2nd floor, and a kitchen with center island open to the dining area large enough to hold a formal dining room table set. There are 2 bedrooms and full bathroom along with a mud room area for the laundry. Upstairs offers a large bedroom with another bathroom." 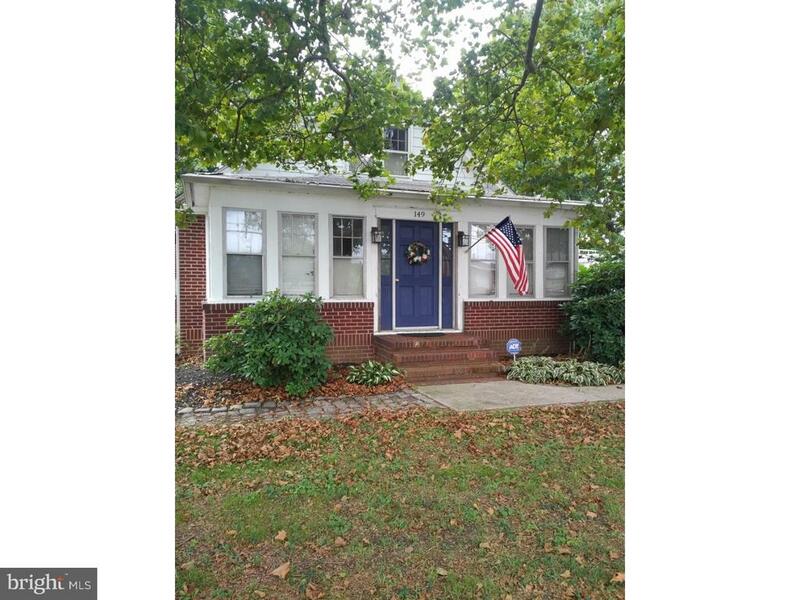 "Feel right at home in this cheerful and clean Cape Cod! Enter the bright breezeway loaded with windows, which leads to the spacious, upgraded kitchen featuring tile back splash, double bowl stainless sink, and breakfast bar with seating. The living room is dressed with hardwood floors that span into the main floor bedroom. Full Bathroom offers upgraded vanity, radiant heated flooring, and fixtures. The second bedroom is located on the upper floor. Enjoy the oversized deck with hot tub, and shed for storage needs. **Appliances, hot tub, and window A/C units all AS-IS. Attached garage can be also used as a mancave/sheshed! Full unfinished basement for storage or workshop space."